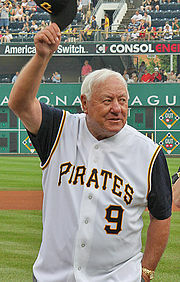 One of Pittsburgh's most cultural neighborhoods is Oakland Pennsylvania. Split into four geographical sections (North, South, Central, and West), Oakland is a hot spot for education, medicine, history, culture, and business. With a majority of the population made up of students from the University of Pittsburgh, residents of Oakland come from over 90 different countries! Between the museums, parks, dining, and shopping, you will never be bored in Oakland. Directly across the street to the Cathedral of Learning is Schenley Plaza, a green oasis amid the hustle and bustle of the big city that serves as the grand entrance to Schenley Park. Schenley Plaza was originally an asphalt parking lot for students and fans going to Forbes Field. In 2005, however, ground broke to turn the parking lot into an open, green, community space for the neighborhood and visitors alike. Today, Schenley Plaza is operated by the Pittsburgh Parks Conservancy and is visited by hundreds of thousands of individuals from all over every year. Featured at the plaza is a one-acre lawn, landscaping with plants that are native to Western Pennsylvania, ever-changing ornamental gardens, and a tented area for big events. Free fitness, family, and entertainment programs are offered, as well as school programs, and summer camps. There are also popular events held here every year, such as Bump in the Night, Full Moon Hike, and Movies in the Park! One of the key family attractions of the Plaza is the PNC Carousel, a Victorian-style carousel funded by the PNC Financial Services Group. 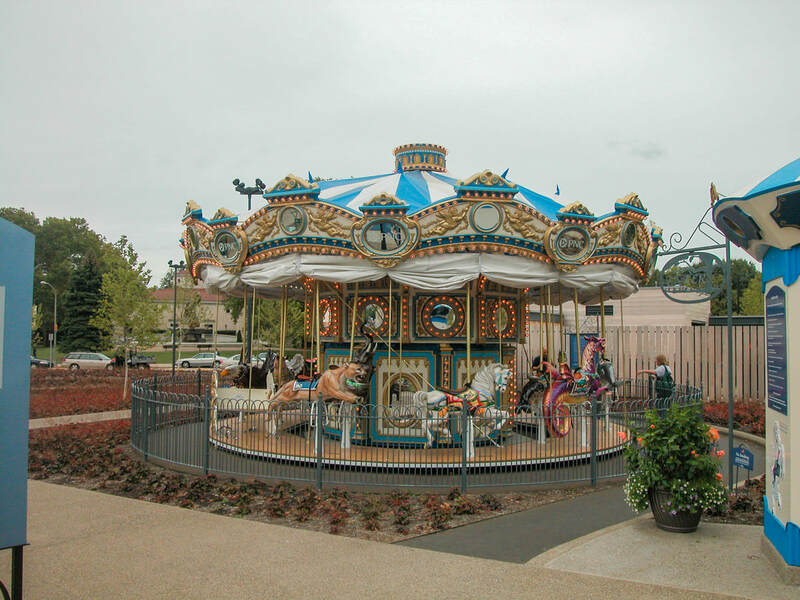 The animals on the carousel have been "adopted" over the years by individuals, families, or foundations to continue supporting the beautification and safety of the plaza. 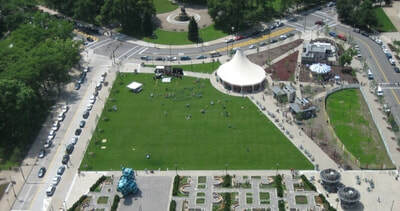 Schenley Plaza has brought so much happiness to the community of Oakland that it has won many awards over the years, including the Silver award for Environmentally Sustainable Projects (2009), the IDA Pinnacle Award for Public Space (2009), the Best Place to Hang Out (2008), and the Dominion Community Impact Award (2006). The parks are not the only big attraction of the neighborhood of Oakland. Shopping is another significant aspect in Oakland. Just like the restaurants, there are tons of places to shop at. Oakland stores are sure to have everything you need, want, or imagine! For the readers in your life, there is Caliban Book Shop. Here you can buy, sell, and appraise books, autographs, photos, printed material, and original art. Their selection includes everything from quality paperback fiction or poetry and philosophy to scholarly books to rare books that have been dated back to the 16th century. If you are wondering what this store's qualifications are for appraising, the co-owner, John Schulman, has spent a lot of his summers appraising for PBS's Antique Roadshow. 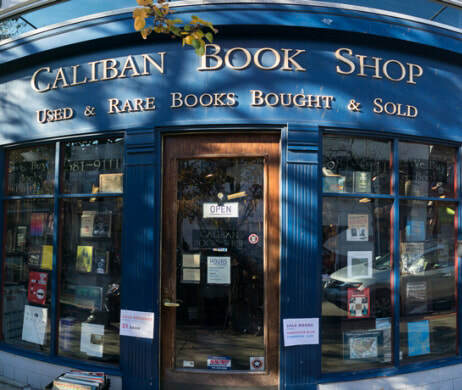 Another service that Caliban's offers, that most other book stores don't, is house visits, for when you have books to sell, but no time to go to the actual store. Caliban's is also home to Desolation Row, a small independent record store that specializes in selling Indie Rock, Sixties Pop, Punk, Americana, Fold, Blues, and Jazz albums. Living in the city, sometimes means trading in your car for a more affordable option. 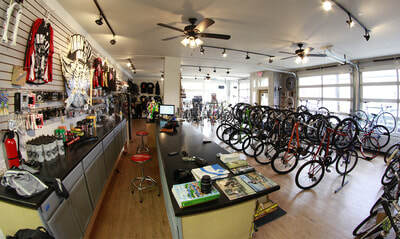 At Iron City Bikes, you'll get an affordable option with quality assurance. Iron City Bikes is a full-service bike shop, that will not only sell you the bike of your dreams, but fix it if something happens down the road! 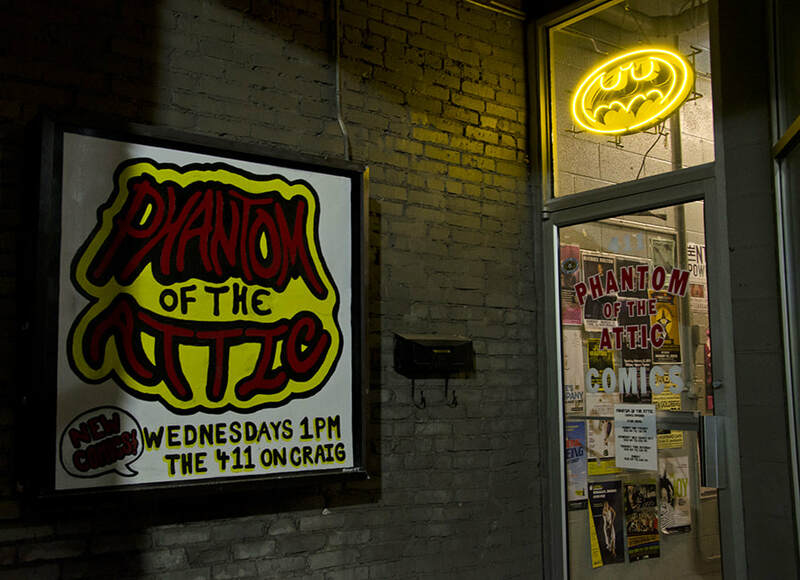 Once you have your brand-new bike, cycle on down to Phantom of the Attic Games and Comics for all your comic book and gaming needs. Phantom sells every comic conceivable, as well as collectibles, toys, apparel, and a heap load of Godzilla related items! They also host events and game nights for board games, Dungeons and Dragons, dice games, and card games. Finally, visit Maggie and Stella's Cards and Gifts, where you can find an assortment of gifts from the simple and moderately priced to elegant high-end merchandise. At Maggie and Stella's, you can buy apparel, handbags, accessories, jewelry, bath products, Kate Spade products, home decor, housewares, candles, and gifts for every occasion! If your goal is to go shopping in Oakland, you are sure to succeed by finding exactly what you were looking for or like most of us, finding that thing you don't need but really want. As you can see the previous statement about never being bored in Oakland is ringing true. 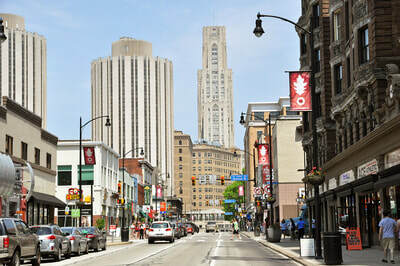 There is a reason Oakland is one of the more popular neighborhoods in Pittsburgh, with so much to do and so many places to eat, Oakland is a hotbed for fun times and new experiences. If you don't believe me, go check it out for yourself! Named for the plethora of oak trees found on a farm owned by William Eichenbaum, who settled in Oakland in 1840, the neighborhood officially became part of the city of Pittsburgh in 1868. Mary Schenley was responsible for establishing Schenley Park and Schenley Plaza in 1881 after she donated 300 acres of land to the city. Schenley Plaza was where Andrew Carnegie, a steel tycoon and philanthropist, built the Carnegie Library, Carnegie Music Hall, and the Carnegie Museum of Art in 1895. 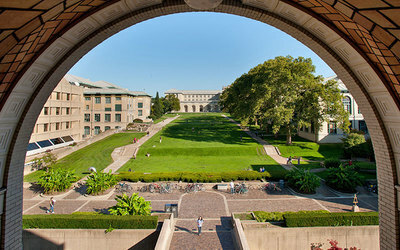 Then in 1900, Carnegie was responsible for building the Carnegie Institute of Technology, which merged with the Mellon Institute in 1967 to form Carnegie Mellon University. 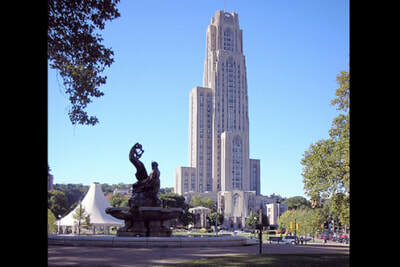 In 1909, the University of Pittsburgh was relocated to Oakland, where it grew to be its own city within a city. 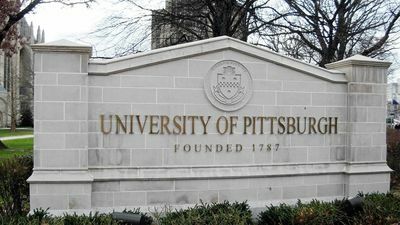 The University of Pittsburgh built the Cathedral of Learning, a 42-story building, in 1925, making it the tallest educational building in the Western Hemisphere! 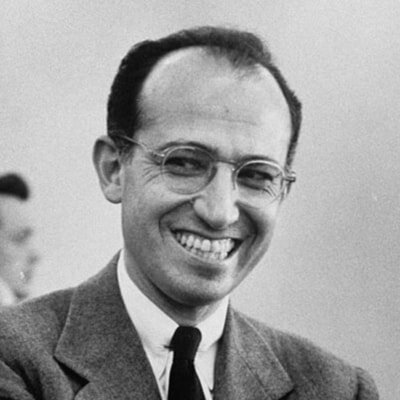 Another notable achievement of the University of Pittsburgh is that the first effective vaccine for polio was developed there in 1955 by Dr. Jonas Salk. The University of Pittsburgh was not the only establishment that made Oakland a popular, talked-about hub, in 1909 Forbes Field was built, becoming the third home to the Pittsburgh Pirates and the first home of the Pittsburgh Steelers, before they moved to Heinz Field in the North Shore. 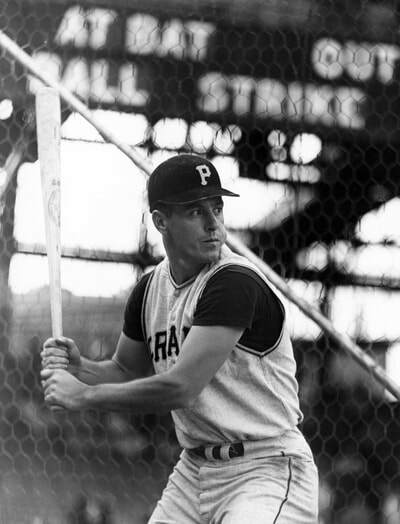 Sadly, the field closed in 1970, but loyal fans return every year to celebrate the anniversary of Bill Mazeroski's World Series winning home run against the New York Yankees in 1960. Although the ball field was demolished, there was still plenty of space for outdoor activities to be had. There are over 40 or more places to eat and drink at in Oakland, making the choice sometimes impossible. There is American, Italian, Mexican, Barbecue, Sushi, Chinese, Pizza, you name it, Oakland has it! 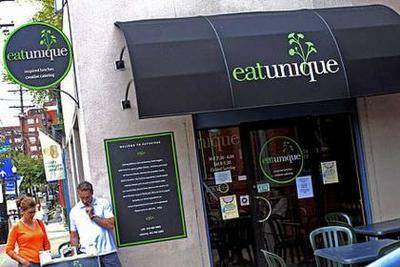 If you are in the mood for a sandwich and soup, Eat Unique is the place, serving up imaginative sandwiches, such as the Meatloaf Melt or Hummus Sandwich, with local ingredients. 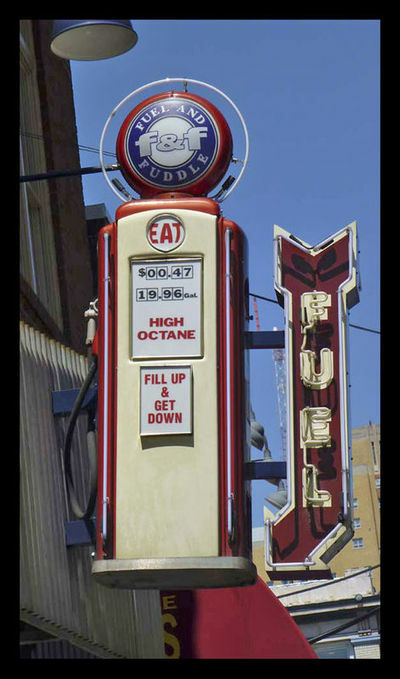 If it's bar food you want, go to Fuel and Fuddle, where critics have labeled the food as "upscale west coast bar food". Here you can order brick oven pizza, world-famous sweet potato fries, or stay out late and order from their late night cheap eats menu! 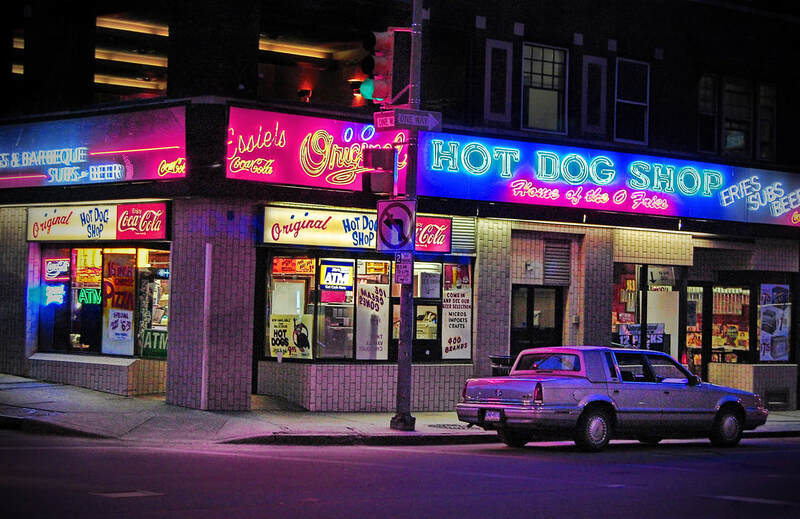 Then there is the O, also known as the original hot dog shop, founded by Syd and Moe Simon in 1960. This famous eatery has been featured on Food Networks Unwrapped and a PBS Special titled "A hot dog program". Locals rave about the Porch at Schenley, where the ingredients are local and they even have a garden and bee hive on the rooftop where they get their honey and other herbs from. 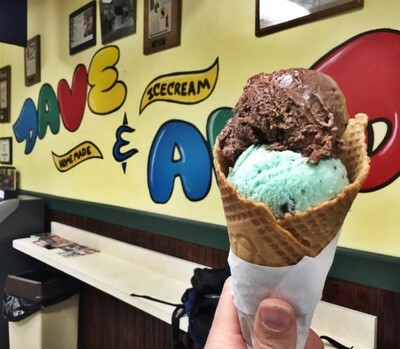 Finally, for desert, check out Dave and Andy's homemade ice cream, which opened in 1983. This homemade ice cream shop carries over 200 rotating flavors and uses hand rolled waffle cones. Some of these delicious flavors include cinnamon toast, Thai iced tea, burnt honey, birthday cake, and black forest cheesecake yum! This is just a small selection of places you can eat at while visiting Oakland, but there are still so many more options just waiting for you to explore! Although eating and shopping are most people's favorite things to do, sometimes humans need a little culture. Oakland is full of culture with art museums, history museums, playhouses, cathedrals, and more. On the 4400 block of Forbes Avenue, you will find both the Carnegie Museum of Art and the Carnegie Museum of Natural History. The museums were founded by Andrew Carnegie in 1895 and 1896 respectively. The Natural History museum gained note-worthy reputation in 1899, when a nearly complete fossil skeleton of the Diplodocus dinosaur was found. 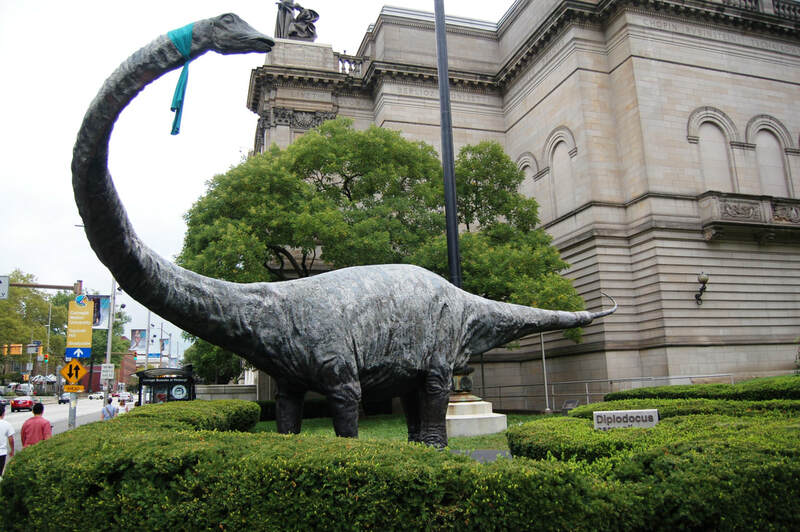 This species of dinosaur was deemed Diplodocus carnegii in honor of Andrew Carnegie, since he funded the expedition that uncovered the species. This discovery has put the Carnegie Natural History Museum in the fast lane to acquiring the largest Jurassic dinosaur collection in the world. In addition to its vast assortment of dinosaur fossils, the museum is home to over 22 million specimens, of which 10,000 are on view at any given time and one million are cataloged in an online database. The museum researchers are also responsible for publishing scholarly journals and books that offer peer reviewed articles on organismal biology, earth sciences, and anthropology. The discoveries and research completed here have maintained the museums international reputation, ranking it among the top five natural history museums in the United States. 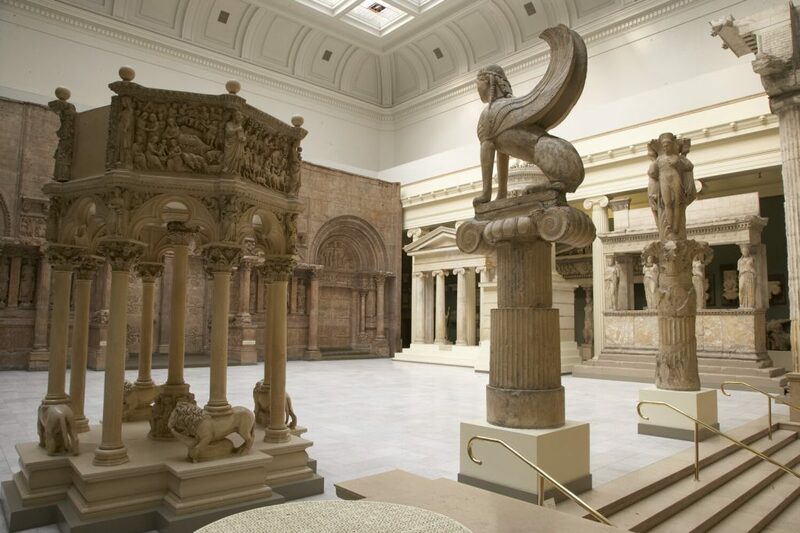 In the same building as the Carnegie Museum of Natural History is the Carnegie Museum of Art, which is home to a distinguished collection of contemporary art, including film and video works. The museum has a permanent collection of approximately 35,000 works including European and American decorative arts from the late 17th century to the present, works on paper, paintings, prints, sculptures, and installations. 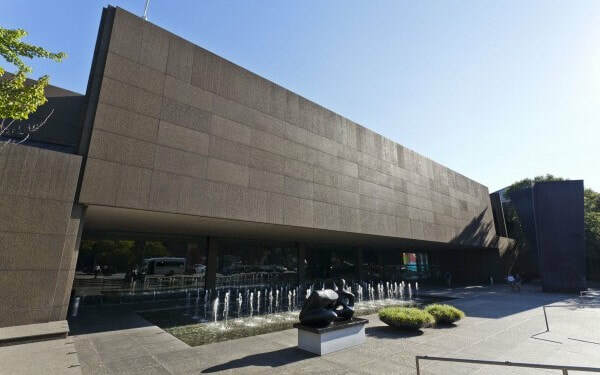 At any given time, there are 1800 pieces of art on display in rooms such as the Heinz architectural center or the hall of sculpture, and the museum holds the honor of being the fifth most child friendly art museum in the United States. A half mile away from the Carnegie Museum of Natural History and Art is the Soldiers and Sailors Memorial Hall. 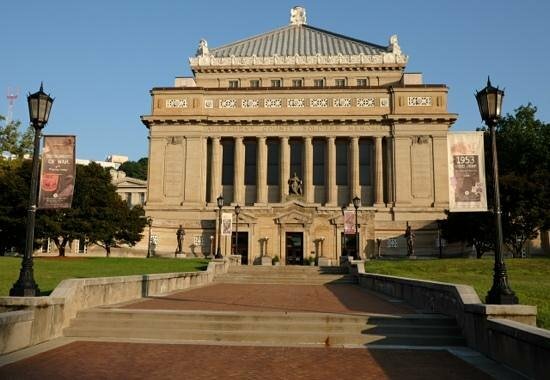 The Soldiers and Sailors Memorial Hall and Museum is a historical landmark in the city of Pittsburgh. It is also the largest memorial in the United States dedicated solely to honoring all branches of military veterans and service personnel. The memorial was initially created by the Grand Army of the Republic in the 1890's to honor the diminishing ranks of Civil War veterans. The hall was built on what functioned as the army meeting ground during the Civil War. It was designed in 1907 by Henry Hornbostel and houses rare and one-of-a-kind exhibits that span the eras of the Civil War to present day conflicts. In 1963 the hall of valor was added onto the memorial to honor individual veterans who went above and beyond the call of duty. Today, there is an auditorium at the museum that seats 2500, a banquet hall, and meeting rooms. Nelson Mandela and Ferdinand Foch are among several famous individuals who have visited or spoken at the hall since it opened. 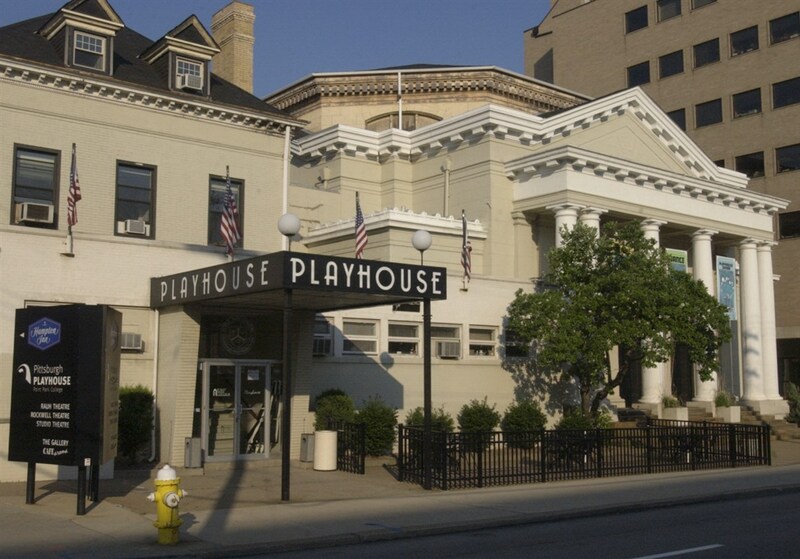 Finally, about a mile away from the Soldiers and Sailors Museum is the Pittsburgh Playhouse, which became the Pittsburgh Playhouse of Point Park University in the 1970's. You can buy tickets for plays, ballets, dance concerts, and interactive children's shows. There are typically 18 major productions and 235 performances held at the Pittsburgh Playhouse a year, maintaining a demanding performance calendar! This is just a few things you can do to entertain yourself when you visit the community of Oakland, upon further exploration, who knows what else you'll find!